The new season of U3A activities is underway, so now is a good time for an update on the wider U3A organisation. The eagle-eyed amongst you will have noticed the position of the apostrophe in the title above – this is a joint newsletter from Stuart Pollard, whose three year term as N.I. Regional Trustee ended at the National AGM; and Rose Marie Bradley of U3A Foyle, your new Trustee. I am looking forward to working with all U3As in the region both those already active and those new ones which will be formed during my 3-year tenure as Trustee. I have already met many members at regional meetings, as well as renewing friendships at Singfest, Summer school and participation in the Westminster Lords chamber event “Decision making in a digital society”. I welcome any opportunity you may have to invite me to your individual U3A’s so I can get to know even more. Stuart and his predecessors as N.I. Regional Trustees will be a hard act to follow. I am truly “standing on the shoulders of giants”! I would especially like to thank Stuart for the thorough way he has prepared me for the handover of responsibilities. I am sure I will continue to enjoy meeting with him as we complete this process. It is only now that I am beginning to realise the hard work he has put in over the last 3 years and know that I have a steep learning curve to go through. I am becoming Trustee at a very significant and exciting time in the life of the organisation, which is reflected in the growth of membership. I will work for the Trust to ensure that U3A in the region continues to flourish. I will look forward to working with Pam Jones, our new chairman and the newly appointed National Executive Committee, as well as some of the National Office staff. The National Executive Committee (NEC) continues to progress the action items in the “Going Forward” 3 Year Plan published in 2014. These are making the Trust a more professional organisation (e.g. in governance & risk) to better look after your interests as U3A members. I have also served on Finance and Research sub-committees. Finances are in good shape: no increase in capitation fee is foreseen and sufficient reserves have been built up to fund special projects, such as the recent national publicity campaign. The Research committee is preparing a guide to U3A research, to be published in 2016. This guide will be similar to, and will complement, the “Time to Learn” booklet published last year. The last 3 years as Trustee have been very rewarding. I have had some wonderful experiences and have made many new friends. Looking back, there are two achievements that I am most proud of : (1) that the region has gone from 20 to 25 U3As in 3 years; and (2) leading the team which enabled the NEC to issue clear guidance to U3As on the use of Paid Tutors, a contentious and divisive topic for many years. Of course, I have been helped enormously by many people – fellow NEC Trustees, N.I. Regional Executive Committee members and the 2 Regional Volunteers during my term, Mavis Turner and Geoff Cole. I thank them all for their support and wish Rose Marie every success. 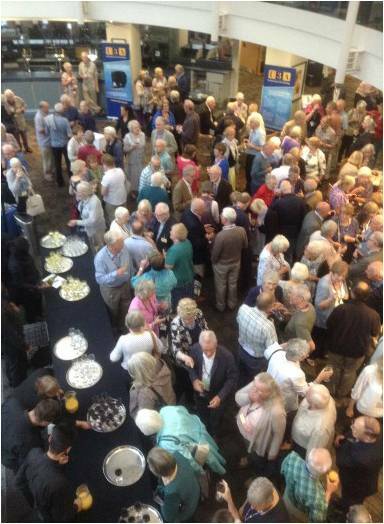 The National Conference & AGM was held in Nottingham from 25th -27th August. Over 400 delegates were at AGM, the largest attendance ever. 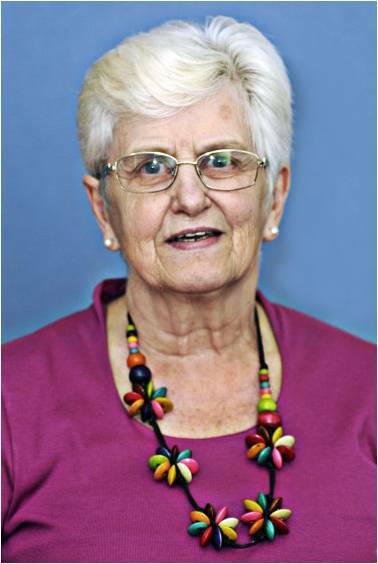 Pam Jones, former Vice Chairman was elected as the new Chairman with 300 votes in a close run election against Anthony Hughes, outgoing Wales Trustee, 276 votes and John Leiper, former Trustee, 193 votes. Michaela Moody, East Midlands Trustee, was elected as Vice-Chairman to replace Pam (and will be guest speaker at the N.I. Autumn Regional Meeting – see below). 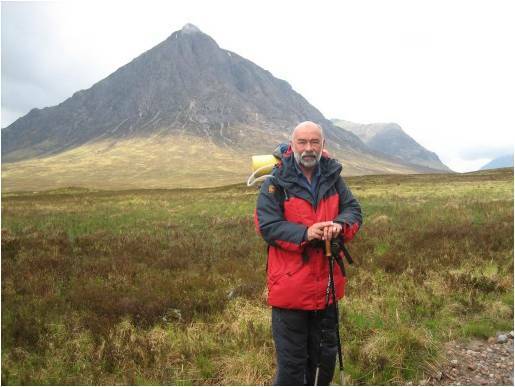 The local Causeway/Foyle Hervey Trail SLP was used as the project example in the 2 research workshops at the National Conference and was well received. The numerous other workshops and interesting guest speakers were very popular. N.I. U3As represented at the conference were Belfast, Causeway, Foyle and North Down & Ards. The East Midlands Conference Centre is an excellent venue and Nottingham is a pleasant city for a short break, so why not have your U3A consider sending a representative to the conference next year, 23rd – 25th August 2016? 2 new U3As have been started. Ballymoney was launched in March, has already had an active summer programme, and their application for full membership of the Third Age Trust was signed off at the first meeting of new season on 1st September. The Banbridge launch meeting on 24 August was attended by more than 80 people and a steering committee is now preparing to apply for temporary membership of the Trust. Mavis Turner has done an excellent job leading these start-ups and expertly guiding the Steering Committees. Support from members of nearby U3As telling of their own story has been invaluable. Mavis and Stuart have also completed training for new committee members at Causeway U3A. Let us know if you would like such training for your area, perhaps bringing clusters of U3As together. One of the most interesting facets of the Trustee role is visiting other U3As and Stuart has visited Foyle, Belfast, East Antrim and Downe this year, with an invitation to Strabane in October along with Rose Marie. U3A is now a very mature organisation in the region and several U3As are having significant anniversaries, most notably U3A Foyle at 25 years and Strabane & Causeway at 20 years. We continue to promote U3A externally and Mavis & Sheila Magee helped set up a U3A stand at two pre-retirement shows for Belfast Health & Social Care Trust and two Young at Heart exhibitions in Belfast and Londonderry. U3A members from Belfast, Holywood and Foyle helped at the stands. The Spring Regional Meeting and AGM was hosted by Omagh U3A on 15th April. A new committee was elected and Stuart would like to thank the outgoing members for the considerable help they gave during his term as Trustee. The Autumn Regional meeting will be in Grosvenor House, Belfast on Monday, 26th October. Guest speakers will be radio presenter, Colm Arbuckle and the new Third Age Trust Vice Chairman, Michaela Moody. Michaela, previously the East Midlands Trustee, was instrumental is setting up the very active East Midlands network. This network is similar to NI region in size and scope, so she will tell us about the activities they are running, to give us ideas for how to improve inter-U3A programmes. N.I. U3As have also received invitations to the second all-Ireland U3A conference organised and hosted by Monaghan U3A. This will be in the Four Seasons Hotel in Monaghan on 23rd October, with the theme of Climate Change. The Regional Trustee’s main responsibility is to the ensure proper governance of the Third Age Trust, so each Trustee relies heavily on whatever regional organisation is in place to organise local inter-U3A events. We are fortunate here to have the Northern Ireland Regional Executive Committee (NIREC) to lead this hard work. As well as organising Spring and Autumn Regional meetings, this year has included a very successful pub quiz, and, for the second year in a row, the regional summer school, hosted by U3A Foyle. NIREC also helps individual activity groups to organise inter-U3A events such as the Day of Song earlier this year and the forthcoming Bridge Congress in the Royal Court Hotel, Portrush on 4th November. If you have any other ideas for regional activities, do please get in touch with NIREC. Contact details are on the website http://u3ani.info. Pictured alongside are some photographs from the regional website, which we would encourage you to visit regularly. But Stuart may be more difficult to contact when retired as Trustee….